When you are looking to get a new website built, do you know what questions to ask the website designer? You are hiring a website design business to do a professional job as they are the ‘experts’ in the industry. Sadly not all website designers build sites the right way. A fair bit of our work is rebuilding websites for businesses that just paid for their site to be rebuilt but the end deliverable was either broken, not editable, not expandable, not branded correctly to their business and so on. As simple as it sounds, get samples of work they have done. Visit their websites, see if you like the look and feel, like how it’s built, how it navigates. Ask them for samples of their cheapest designs vs most expensive. You want to be able to see the quality of work is consistent across different priced websites (note some of the expensive websites may be due to the size of the site and or functionality). 2. What is included in your website package? Functionality itemised and detailed if any special functionality is required such as booking, shop etc. 3. Do you provide domain and hosting packages? What are the costs? Do they provide a service for purchasing your domain and hosting the website? Find out what their prices are. Check the details for the hosting package e.g. Does the host do automatic backups of the site so you can restore to at any time? How secure is the hosting environment? What is their level of support and support turn around time like? Does the hosting package include SSL certificate? Google prefers secure websites (find out why you should switch to HTTPS here). Sites that have an SSL certificate are ranked higher on Google than ones that don’t. (SSL means your site is https:// not http:// and is secure from data information transfer, not secure from hackers). 4. Will my domain name and hosting account be registered in my name and do I have complete rights over my own domain and hosting? It’s best to have the domain and hosting signed up in your name. Transferring ownership of domains and or hosting at a later stage can be problematic if the web designer has closed and no longer available. 5. Hosting: Who do you host with, do they provide easy to access daily backups? Some hosting packages don’t include backups while others do daily backups and kept on rotation. This is important in the event your website gets hacked or if your website goes down and is no longer there. If in the event you need to restore to a backup, what is the process? Can the hosting company restore it? Do you do the restoration and what are the costs? 6. Can I edit the website myself? What do you charge if I want you to do the edits for me? 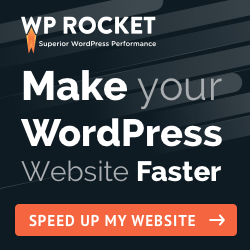 Can you manage and edit your own WordPress site? We have seen some sites get built but in order to change the content, you need to edit template files on the FTP server which is not ideal! You should be able to edit the content easily yourself at any time, especially with the new drag and drop page builders that are available such as Visual Composer, Elementor or Divi Builder. I would recommend ensuring that your site comes with one of these 2 options. Check what level access you have. As the owner of the website, they should hand over administrator level logins. 7. Do you build the website with a template or is it custom built? Its good to know how the site is being built. Templates are great and cost-effective for small businesses whereas custom built designs are more expensive. Ensure that either the template or custom built option is responsive, which means its readable and scaled appropriately to mobile devices. If the site is being built on a template find out what template they are using and do your research on that template. Does it come with a page builder such as Visual Composer, Elementor or Divi Builder? Some other bespoke page builders may be tricky to work with and not very SEO and user-friendly. Do they have support for any bugs or issues with the theme that doesn’t work as expected? 8. Will you create a logo for my site too? It’s often assumed that when you get a website you get a logo too. This is often not the case. They will ask for you to provide the logo files. Some website designers are able to create a logo for you at an additional cost. We are a complete design solution agency where we can help you with any graphic design and website design needs. 9. Who will manage the project and who is doing the technical work? Get to know the team that is working on your site. Are they a solo builder? Do they do everything themselves or do they have a team of developers, copyrighters, seo specialists, photographers etc. Check that you can chat to them about any of your requirements and that they are not outsourcing the build to an overseas company. 10. What if I don’t like the initial design? How will you handle final changes? Find out what the process is regarding changes to your site. Do they have a set round of refinements? Will they fix things that you don’t like, how customisable is it to change the layout? The clearer this is upfront the fewer surprises you will have towards the end of the project. You don’t want any additional costs that you were not expecting. It’s also good to find out what their policy is around fixing bugs on the site post-launch. 11. What about content? Who will write the content? Who writes the content? Do they advise on content changes? Do they do SEO copywriting? Or are you required to provide all the content and the structure that you would like to have? If they are creating content for you, make sure their copywriter is SEO trained as it’s very different to write for a website than it is to write a brochure. 12. SEO (search engine optimisation) – Is this included? Do they optimise your website and if so what specifically do they do to optimise the website. Will the website run fast? Do they add h1, h2, titles to each page? Do they install a plugin such as Yoast SEO? Do they add a Title, meta descriptions and focus keyword for every page? Do they submit your site to Google and other search engines? Getting your site listed on google is important. Note SEO is not a one-off job. There are things that can be done to optimise your site for SEO, but SEO is a long-term strategy. Find out what they can do and if they offer any SEO services. If you are hiring a designer to build your site, they are not responsible for your search engine results unless you have agreed to an SEO strategy and results. 13. How many rounds of revisions am I allowed? How many revisions can you make to your site? Most designers will provide 2 rounds of revisions. 14. How long will it take to build the website? Most website designs take around 4-6 weeks. This will also depend on your feedback for changes and how long it takes to review the site for feedback. Some companies can do websites faster, just be mindful you don’t sacrifice the quality of the build, design, and attention to detail. 15. What do I need to supply? This will also depend on the level of involvement you want your designer to have. Do you want them to guide you on the navigation process, imagery, content and layout? 16. Is the site responsive and works on multiple platforms? It’s important to check your site is responsive on all devices including multiple phones and tablets. Do they just provide a responsive website, or do they do mobile check and edit for any required changes to mobile devices? 17. What is your policy regarding building websites for my competitors? This can be a good or bad thing. For example, if a company has designed websites in the past similar to yours, they may have a better understanding of what works and what doesn’t. That said, you don’t want a clear conflict of interest. This is a good question to ask and to use in your evaluation process, but I wouldn’t rule someone out entirely if they built a website in the same industry. We have become specialists in 2 different industries – the fitness industry and the disability industry. Our clients value this as they know we understand their market very well and know how to design to their market. We have been asked on the odd occasion to not do any work for a specific competitor but this is a rare case. 18. Do you provide stock photography or use them in the website design? Are they compliant with copyright? Make sure any imagery they are using on your site is legally compliant. You are not allowed to use any images you find on Google or on other people’s sits as they would breach copyright laws. It’s best to check that any imagery is stock photography which is purchased through a company such as shutterstock.com and has the right copyright for your site. 19. What are your payment terms? What are your payment terms? Are there any feeds on any of the terms. Most common terms are 50% upfront and 50% before the website is launched. 20. Do you offer training? Are they able to train you on how to use your new site? Would this training be included in the total package price or additional? If additional, what are the costs involved? 21. Will my website be built to expand as my business grows? Will you consider branding when you build the website. Will the new website be consistent with the rest of my brand so that it has a consistent feel across all marketing collateral both online and offline? 23. Do you offer e-commerce services? In addition to website design and development, a comprehensive website design company offers e-commerce services for online sales. Ask for specifics about e-commerce solutions because they vary among web design firms. Some commonly offered e-commerce services are shopping carts; the ability to add discounts; support for multi-currencies; a customer database that interacts with your online store; cross and up-sell features; inventory control; customization; reporting; and SEO integration. WordPress offers a great e-commerce plugin called WooCommerce. It also offers add-ons at an additional cost that can enhance your website. You will need to check what they provide, what plugins they use, and if there are any paid plugins or subscriptions for these plugins. Do they provide a pre-launch checklist? Do they do a full test before launching the site? Every website should be tested before and after it’s launched. Both you and your website designer should do the testing. Test all aspects of the site especially contact forms, any links or call to actions. Do you provide support if something goes wrong? What are those costs? What if there are bugs on the site? Do you maintain the website? Do you offer maintenance packages? Who do I contact if my site goes down? If you have any other questions you believe companies should ask website designers before they engage their services, pop them in the comments below.